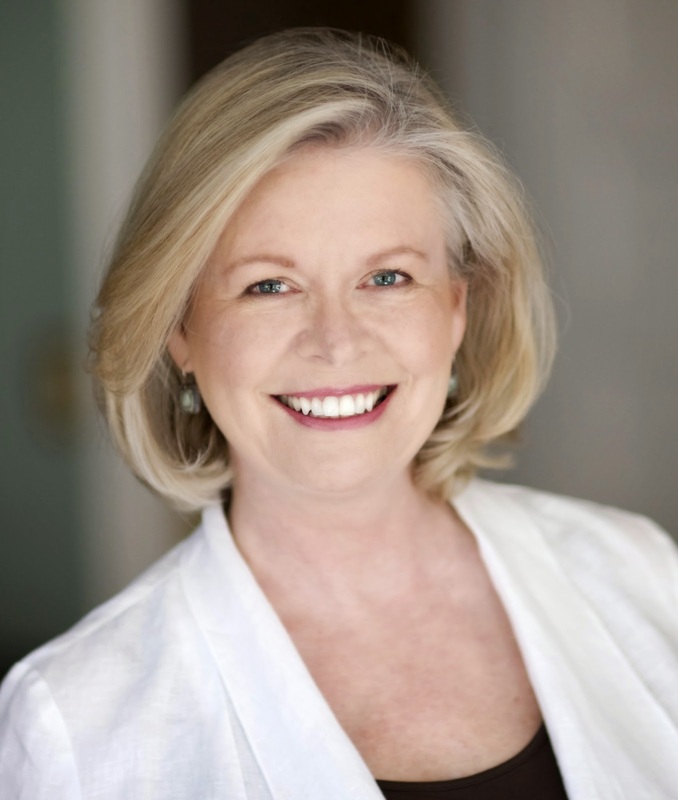 Jungle Red Writers: Sheila York — "Don't Slam the Door on the Way In"
SUSAN ELIA MACNEAL: Delighted to introduce Sheila York, author of the Lauren Atwill Screenwriter Mysteries, the most recent is NO BROKEN HEARTS. SHEILA YORK: In Hollywood, telling the truth is the most dangerous thing a woman can do. In a way, that’s where No Broken Hearts started, with that line. I don’t know where it came from. I wish I knew where my ideas came from. I’d go there and have more of them. But one day, there it was, just as I was starting to put words on the page in some sort of sequence, and it had an urgency that inspired me to keep going, which really helps if you’re a “pantser” — somebody who jumps into writing a book with a lot of the great unknown still ahead. My story was still rather vague. I knew it would be about a cover-up that would put Lauren’s life in danger. I had some history on my side here. Under what’s called the studio system, which reached its height in the 1940s, studios had their actors under contract, and they aggressively crafted and protected stars’ images. The stars were, after all, their investments. Hollywood made millions on glamour, class, style — weaving the fantasy of the lives the stars led. Journalists and even the police could be induced with cash and favors (and because they too loved the fantasy) to keep misbehavior quiet. Sometimes more than misbehavior. There are rumors – some of which have been reported in Hollywood histories as fact – that this protection had sometimes extended to covering up involvement in deaths. So Lauren would find a murdered woman – but others would be ferociously determined to protect a star. But that was about as far as I’d gone. She’d be forced to investigate, but I didn’t yet know why. Readers eagerly embrace the concept of the amateur sleuth, but it’s not enough to say, “Well, she investigates because she, you know, found the body.” No, she doesn’t. Lauren isn’t the sort of gal who could be bought off. And it would take more than “Keep your mouth shut, if you want to work again”, although that was a threat with real weight in studio-system Hollywood. A writer who dragged a studio into scandalous headlines could kiss her career goodbye. If she was going to investigate, I needed something that would make it absolutely impossible for her to tell what she saw. Maybe she thinks the star could be innocent, and if she does talk, at best she would ruin his reputation and her own career; at worst, she’d send an innocent man to the gas chamber. Maybe she’s afraid to trust the police. The Los Angeles police department was notoriously corrupt back in the 1940s. Could they be involved? But why would she have to investigate? Maybe . . . ? Ah, I can’t tell you that twist. It would require a Spoiler Alert. But I knew I had found the answer. Since I can’t share the Spoiler (not that you’d want me to, but I have been a flagrant tease), I’ll share another secret. 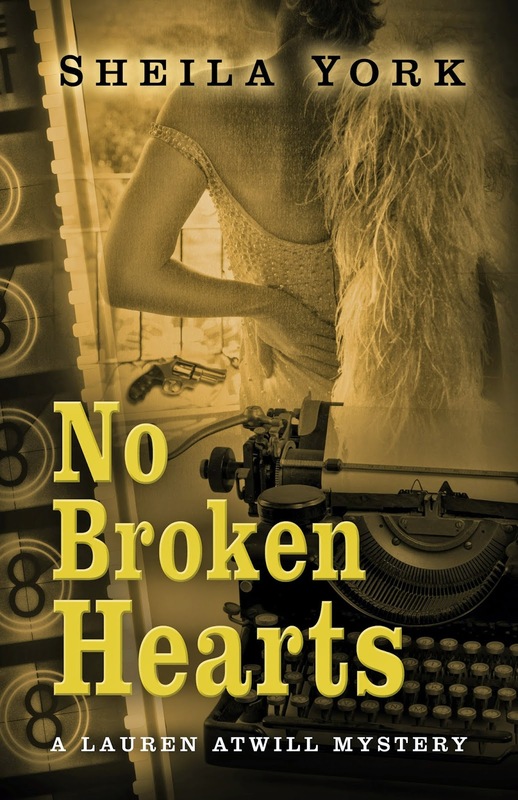 I almost never got the chance to write No Broken Hearts because I came close to screwing up. Badly. At panels and other book events, occasionally someone asks, “What’s the biggest surprise your characters ever sprung on you?” Finally, today, on Jungle Red, I’m coming clean. I have my own cover-up. And I’m going to confess it. What’s the biggest surprise? Two people came back from the dead. When I wrote my first mystery (Star Struck Dead), I was clueless about publishing and never thought about a series. So some elements of Lauren’s history didn’t seem to matter much. Then as I was working on the next book, her history became more complicated, and by book three (Death in Her Face), I had a wonderful idea for a charming, witty fellow writer, with whom she’d once been very much in love. Except that my great idea for the complications in their past required a strained relationship between Lauren and her parents. Terrific! Conflict! Except. Lauren’s parents were dead. There is no panic an author can have like the moments spent madly flipping through that first book to the one and only place where she knows Lauren’s parents are mentioned. Are they dead? Does it say they’re dead? By some miracle, it does not. At some point apparently, I’d heard a subconscious whisper from that place where my ideas come from. The whisper must have said, “Don’t kill them.” And in that final, published version, you can’t tell one way or the other. So, if you’re in your clueless-newbie stage, think long and hard before you slam any doors in your protagonist’s past. Lauren’s parents are alive, estranged from their daughter. And in No Broken Hearts, I finally got to meet them. SUSAN ELIA MACNEAL: Reds and lovely readers, what's the most surprising twist you've ever read in a mystery novel? Who's your favorite star from the Golden Age of Hollywood movies? Tell us in the comments! After a long career in radio and TV, Sheila began writing novels combining her love of history, mysteries and the movies. Set in Hollywood in the 1940s, her series features screenwriter/ reluctant heiress/amateur sleuth Lauren Atwill (and her lover, P.I. Peter Winslow) chasing killers in the Great Golden Age of Film. Once a promising talent, screenwriter Lauren Atwill is now relegated to doctoring other writers’ work, anonymously. Finally she gets her shot at remaking her career, bringing a scandalous novel to the screen, a sensational tale of betrayal, corruption, and a vicious killing. But fiction turns into real life: Lauren finds a beautiful young actress brutally murdered and the legendary leading man stained with blood. Then she discovers just how far the studio and even the police will go to cover up the killing and protect a star. If she won’t lie, her career is over. And maybe her life. Welcome Sheila and good morning Reds and lovely readers! As far as twists go -- GONE GIRL. And favorite hollywood actress of the Golden Age? Bette Davis. No matter what she was in (and the quality varied) she was stellar. Wow, how could I have missed something that sounds so intriguing as your Screenwriter Mysteries? I’m definitely hunting up your books, Sheila. Favorite star from Hollywood’s Golden Age? Katharine Hepburn, Lauren Bacall, Barbara Stanwyck, Bette Davis . . . no way to pick just one. Plot twists? So many good books with excellent plot twists . . . Meg Gardiner’s Phantom Instinct comes to mind . . . also Elizabeth Heiter’s Hunted . . . and Lisa Unger’s In The Blood . . . Of course, my favorite Jungle Red writers have some pretty amazing plot twists of their own . . . .
And OMG, thanks for the photos in your post, especially Cary Grant. And Barbara Stanwyck, and all of them! Can't think of any particular plot twists, but I love it when something catches me so off guard that I find myself talking to the book, but the twist fits perfectly. Thanks Joan. I named my amateur sleuth after Miss Bacall, whom I just adored in To Have and Have Not. Stanwyck is another idol. The Lady Eve? What a great film. And Ingrid Bergman and Myrna Loy, there was always something so interesting going on with them. They both had such active interior acting lives. You can kind of tell I'm a movie maniac. Grandma Cootie, you have made my day. Almost nothing a writer likes to hear more than that a reader can't wait for the next book. I'm working on it, promise! Lauren's being set up to take fall for a killing next time around. I was a bit reluctant to talk about that dead-parents thing. It's embarrassing. But it's also the sort of mistake some many new writers make. I was so lucky. A good twist is a beautiful thing. The one that plays fair with you and yet confounds you. The one where you simultaneously drop your jaw ("Whoa, didn't see that coming") and slap yourself in the forehead ("Of course! Why didn't I see that coming?). I have so enjoyed this series!! Looking forward to enjoying the next compelling plot twist - and meeting Lauren's parents! Hmmm. Who should play THEM if there's a future televised series or film?? Great blog, Sheila. So interesting to go behind the scenes for another writer's work. And the photos were a real treat, adding a little glamor to my screen this morning. Devious twists? Gone Girl for sure. Tana French's Faithful Place, with the guilty party, finally, as the one I thought, but for a completely different reason. Julia Spencer-Fleming's All Mortal Flesh had a few I did not see coming at all. Golden Age stars? Pick one? Not possible. Loved the twist in GONE GIRL, of course, although we get that far before the end. And I really enjoyed the twist in THE PERFECT GHOST. Your post has my brain doing ninja moves, trying to figure out what to keep open in my first book. Hi Sheila! Glad to know I'm not the only one who didn't think far enough ahead in some of those early books... My big confession? I'm pretty sure Duncan's sister has a different name somewhere in one of the first books, but I haven't been able to find it. Hmmm. What explanation can I come up with to explain that?? Love your series and seeing where the ideas come from! Linda, Thanks! I admit to occasional fantasies about who would play my characters. But as I'm writing, they look like, well, themselves. My characters are inspired occasionally by actual Golden Age celebrities. Roland Neale in NO BROKEN HEARTS was inspired by film legend and a personal fave of mine Ronald Coleman -- Coleman's looks; Coleman never behaved like Neale, as far as I know. Costello was inspired for the first time by a modern day actor -- Brendan Coyle. I fell a little in love with Costello. Deborah! It's full confession Saturday! Love that story. I've had to start detailed Excel files of characters and descriptions, just to keep up. [SPOILER: stop here if you haven't read Dorothy Sayers' Murder Must Advertise and intend to soon] Dorothy Sayers named the house in which Harriet and Lord Peter spend their honeymoon in Busman's Honeymoon the same as the name of the killer in Murder Must Advertise. That can't have been on purpose, can it? Ooh. Stars of the golden age. Tyrone Power, Ronald Coleman, William Powell for sure! Ladies...Bette Davis, Myrna Loy, Greer Garson. Off the top of my head. As for plot twists, I've yet to figure out whodunit in any of Ann Cleeves' Shetland mysteries. Your books sound wonderful Sheila. I have to read them! Shizuka: Oh, please don't let me deter you from moving forward on your book. If the door is slammed for a reason that drives your character and your story, have at it! I made my decision in the first book out of convenience, so I wouldn't have to deal with them. If they were alive, Lauren would be in touch, right? What I didn't do is think "Is there a better reason she isn't in touch than that they're dead?" Triss: They knew how to do glamour back then. The contrast between the image Hollywood worked so hard to create and preserve and the possibilities of what might lie beneath lights a fire under me. Pat: A Ronald Coleman fan! Prisoner of Zenda! I am also a big fan of Myrna Loy. She was gifted. Watch her in one of the Thin Man series trading snappy chatter with William Powell, and then check out the subtlety in her role in The Best Years of Our Lives. That is a very difficult role, and boy does she play the socks off of it. Men: Cary Grant, Tyrone Power.. I love that confession! I got much the same advice when I started writing my first, with a protagonist who is divorced. I didn't much think of his ex, she was just "gone." An editor friend said, "Keep her around, she might come in useful." And turns out she is making a cameo in book 2. Actors? 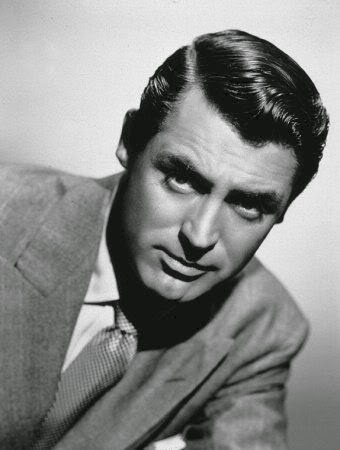 Cary Grant, definitely. Humphrey Bogart, James Cagney. Actresses? Lauren Bacall, Audrey Hepburn, Bette Davis. PK: Ooo, yes, Irene Dunne. The Awful Truth (with Grant) is hilarious. I haven't seen that in a while. I have to go dig that out of our collection. Mary: Thanks. I'm laughing now, but boy that moment when I realized I could be sunk. Lauren's ex-lover would be impossible to write as I wanted if I'd killed off the parents. What I wonder is at what point and why their fate disappeared from the book? The good thing about a series is that you can flesh out characters that are briefly mentioned in prior novels. I did something similar with my Kim Reynolds series, providing some very surprising twists and turns. What always puzzles me is how those serial writers in the Victorian era (Dickens, Gaskell) could publish episode after episode of their story in each issue of the magazines, not having written the whole thing yet! It must have been galling to say, "Oh bother! I never thought of that back in episisode XIV and it's way too late now." Okay, I've got to go off and track down your books, Sheila. They sound like my cup of tea. Susan: Excellent point about the serial writers. That could have been disaster. And even if they did know where the book was going, public reaction could influence where their publishers wanted to take the story. Of course, there was always the reliable escape hatch -- at least in Victorian times -- of the astonishing coincidence. Wait a minute, the boys just happen to pick the pocket of Brownlow, who turns out to be Oliver Twist's uncle?? Hey Jacqueline! 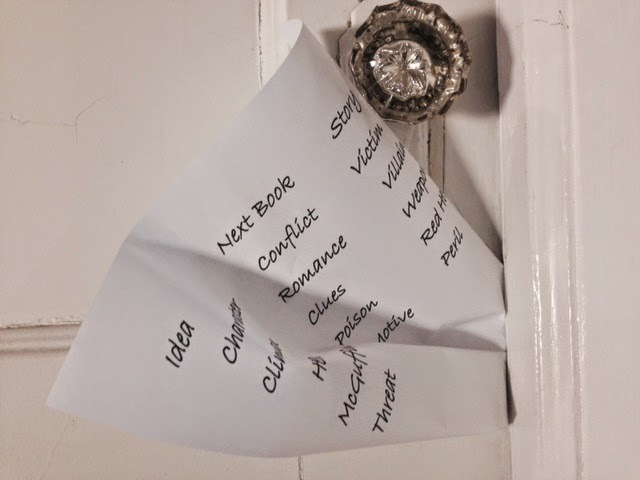 Ms. Seewald's Author Expressions was one of my first stops on my blog tour. Your fleshing out early-book characters reminds us why it's important for them to have some interest for the writer in the first place, no matter how small their part was. You might need them later. As darkness begins to fall here in New Jersey, I’m reminded how soon the pressures of the holidays will be upon some of us. During these last weeks of the year, it’s nice to set aside a Just Me & The Movie night. 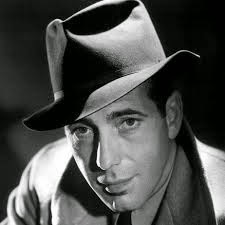 If you’re not familiar with films of the 1940s -- the decade in which my stories take place -- let me share some suggestions for your consideration, in alphabetical order. Some are famous (Casablanca; Citizen Kane), but others might be completely new to you. All go really well with a mug of hot buttered rum on a chilly night! So here’s a holiday list without the pressure: Angel and the Badman (47); The Big Clock (48); The Best Years of Our Lives (46); The Big Sleep (46); The Blue Dahlia (46); Brief Encounter (45); Casablanca (42); Citizen Kane (41); Crossfire (47); Double Indemnity (44); He Walked by Night (48); His Girl Friday (40); The Lady Eve (41); Laura (44); Notorious (46); Now, Voyager (42); Palm Beach Story (42); They Were Expendable (45); The Third Man (49); To Be or Not to Be (42); To Have and Have Not (44). Have your favorites to share? Pinocchio and Fantasia, both from Disney in 1940; Yankee Doodle Dandy and Holiday Inn, both from 1942; Going My Way from 1944; Diamond Horseshoe and The Bells of Saint Mary's from 1945; Miracle on 34th Street from 1947 . . . . I want to watch movies with all of you! Grandma Cootie: This can be arranged! Comfortable chair. Adult beverage. Golden Age movie. It doesn't get much better. How fascinating writing mysteries set during the Golden Age of Hollywood with all those great larger-than-life personalities with their well-kept secrets. I will be checking your series out for sure, Shelia. It's difficult to pick a favorite star from that Golden Age of stars. I loved watching them all. One I haven't seen mentioned here is Susan Hayward, although my favorite movie of hers wasn't until 1958, "I Want to Live." She screen tested for Scarlett in "Gone with the Wind." 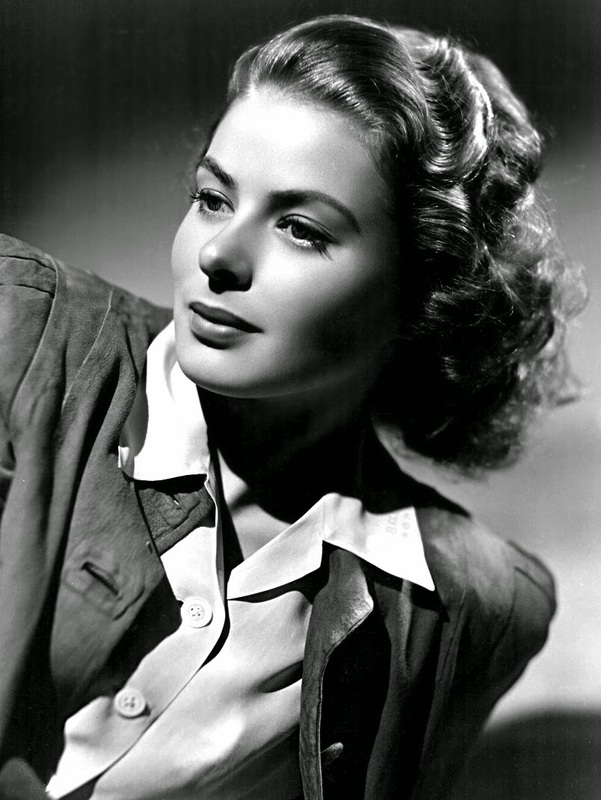 Of course, those strong women like Barbara Stanwyck, Bette Davis, Rosalind Russell, and Lauren Bacall were great. Deborah Kerr, Anne Baxter, and so on. William Holden is one of my favorite guys, along with Glenn Ford, Clark Gable, Cary Grant, Jack Lemmon, David Niven, Randolph Scott, George Sanders, Jimmy Stewart, and more and more. Susan, my first thought about twists was also Gone Girl, and I wasn't happy about that twist. There was one book, and I can't remember its title or author (nobody here) where one of the characters was killed almost at the end. It was a great character, and there was no warning, so I was really disgruntled about that, too. Kathy: Thank goodness, we don't have to pick one favorite. I have several and, uh, well, those tend to change depending on which movie I've seen lately. So much good work. So many good stories. Oh, running in SO LATE! Love the photos.. Twists? Well, Sixth Sense, of course. And hollywood actress. Hmm. Myrna Loy. xoxo And Katharine Hepburn! I am headed to bed with a good book. No other way to head there. Thanks to Susan & the Reds and dear readers for a terrific day. What about the mistress of twists, Agatha Christie? Especially And Then There Were None, and The Murder of Roger Ackroyd. Old news now, but then...shocking! Lenita: I like it -- The Mistress of Twists. Indeed she was. A valuable lesson from Dame Agatha is that there's a big difference between just making the killer the "least likely" and creating a valid twist you did not see coming. Maryann: That line -- glad you loved it -- isn't actually the first line in the book. It's a line that just came to me, and I used it as a sort of talisman throughout the writing. My strangest Where did this idea come from? moment was while I was driving on the Garden State Parkway, which is where NJ drivers go to terrify me. A car that had been tailgating me, zipped around on my left, barely cleared my front bumper, then crossed three lanes of traffic to make the exit. As I gaped at those disappearing taillights, suddenly I knew how to fix a plot hole. Had nothing to do with insane drivers. It was just there. If you've written 23k words, let ME know if you find that magic place. All the best with the book!